Overview: 100 hands at once! 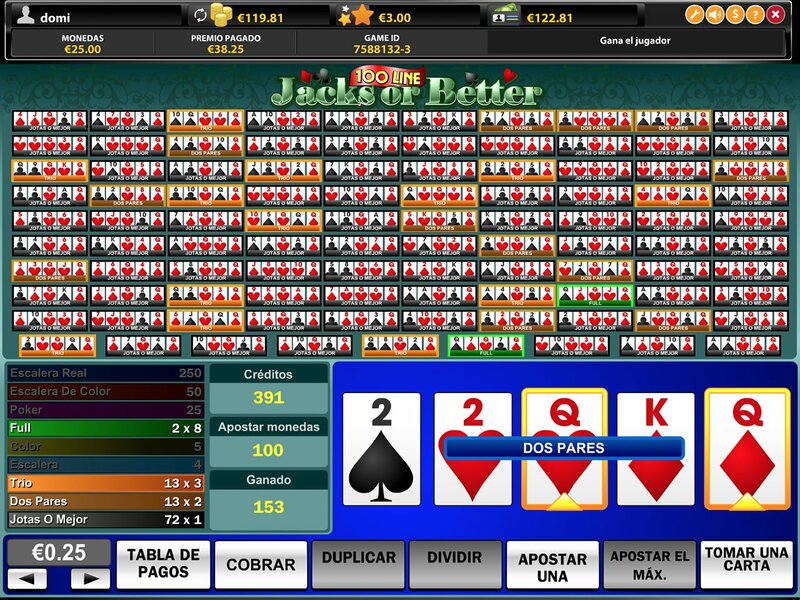 This Jacks or Better Video Poker game is played on a 100 hand grid. 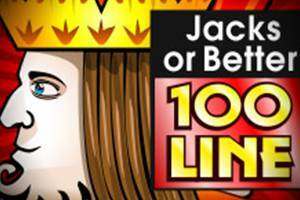 Payouts are on winning combinations of a pair of Jacks or greater and no wild cards are used in this game. You're paid on pairs of Jacks, Queens, Kings and Aces, two pair, three of a kind, straight, flush, full house, four of a kind, straight flush, and Royal Flush with the highest payout of 4000 coins for the Royal Flush. The higher the difficulty the higher the payout. You hold or discard to make the highest winning hand from these 5 cards. When you click on draw, the decision hand will be shaded out and 100 additional hands of 5 cards will be dealt, each hand uses a separate 52 card deck and each hand contains the cards that were held in the decision hand. You are then dealt the remaining cards to complete each hand from the separate decks. The highest combination is paid out on each hand.